We presented a few session at SQLBits and the video of these sessions are available. This is the list of sessions available from SQLBits 8 and SQLBits 9 – just click the link on the title and jump to the session page with video, slide deck and demo! This dense hour of presentation will cover design techniques to leverage cube features that also consider possible maintenance of the database structure over time. Other patterns concerns the use of Slowly Changing Dimensions in Analysis Services, evaluate whether to use parent-child hierarchies or not, the consolidation of independent attributes into a junk dimension. Finally, the session will analyze drillthrough issues and solutions and the technique necessary to create special calculation dimensions. BISM (BI Semantic Model) is the new engine that will be available in Analysis Services “Denali”. Explore the capabilities of this new model, that will be an alternative to UDM in Analysis Services and will use the new Vertipaq engine introducted by PowerPivot. This new model will be more relational and less multidimensional, but will also support both MDX and DAX. The introduction of many to many dimension relationships in SSAS (since 2005) opened new scenarios that can be solved using OLAP cubes. Now, with the introduction of the Vertipaq engine and the DAX programming language, it seems that many-to-many relationships are no longer supported. As we are going to show, this is not true: many-to-many relationships can be leveraged in DAX too, even if this means some deep understanding of the Vertipaq engine and of the DAX programming language. During the session we will show many scenarios where many-to-many relationships can be managed by using DAX. The implementations are different from those used in SSAS, both from the data modeling and from the programming points of view. Gaining the ability to master many-to-many relationships will open new modeling scenarios that look very promising in SSAS. During this session we are going to analyze common business problems that require and advanced usage of DAX functions and data modeling. Examples include banding of price in ranges, advanced simulation with the usage of many-to-many relationships, usage of dynamic sets in PowerPivot and many other examples, all taken from common budgeting problems. This session is based on part of the book Microsoft PowerPivot for Excel 2010:Give Your Data Meaning, written by the speaker. While in classical OLAP cubes the clear winner data modeling technique is dimensional modeling, it is interesting to understand what will happen with the new Vertipaq engine. In Vertipaq there is no real need to do dimensional modeling, because the engine is able to manage relational modeling too. In this session we will introduce the new modeling capabilities of Vertipaq, showing how the same scenarios can be modeled in both Multidimensional (MOLAP) and Tabular (Vertipaq). This will lead to an interesting discussion about how to develop your data warehouse in order to make it working with both UDM and Vertipaq. 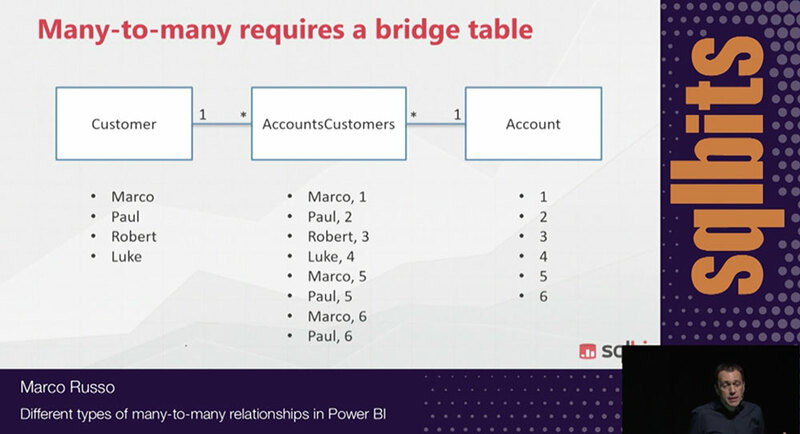 Marco Russo and Alberto Ferrari are the founders of SQLBI, where they regularly publish articles about Microsoft Power BI, DAX, Power Pivot, and SQL Server Analysis Services. Marco and Alberto have worked with Analysis Services, Power BI and Power Pivot since the first versions, becoming established experts. They already wrote 10 books on these technologies and provide consultancy and mentoring. 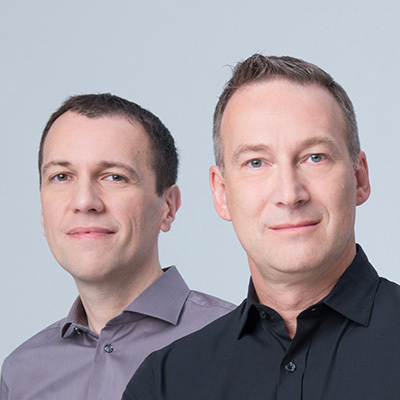 They are also regular speakers at major international BI conferences, including Microsoft Ignite, Data Insight Summit, PASS Summit, and SQLBits. And of course, they are qualified trainers, with more than 250 classes taught so far.